Introducing Amazon Dash Button. Never run out of your favorite household products – just press it to get it. A wide selection of organically grown heirloom & disease resistant seedlings, including tomatoes, cucumbers, peppers, eggplants, squash, herbs and more. The 6th Annual LA Vegan Beer & Food Festival will be taking place on May 16th at The Rose Bowl Stadium. There will be unlimited pours from 60 breweries with over 100 different beers to choose from. Get your favorite vegan eats from over 40 different food vendors. Enjoy live music and art while you hang out with your friends! The 6th annual Los Angeles Vegan Beer & Food Festival will take place on The Rose Bowl infield and feature the best of L.A.’s craft beer, vegan eats, and live music. Upon entry you will receive your very own LAVBFF glass and enjoy unlimited pours from 40 breweries featuring 100+ different beers. We will also be hosting 40 restaurants and food vendors. General admission door time will be at 1pm. VIP admission includes separate entrance, early entry at 12pm, and access to the VIP lounge with exclusive pours. This event is 21 & over. Please note that food is not included in the ticket price. Last year had a $80 VIP as well. Yes fee is high, Rose Bowl and CC fees in there too. That said, the VIP this year is indoors, AC, and multiple beers. We wanted to update our 2013 Pasadena area guide to dog friendly restaurants and eating establishments around the Pasadena area. This is our 2015 guide, which will be updated as new locations are added, and unfortunately as some close. 6. Corner Bakery – South Lake, outdoor patio area, not sure about Hastings Ranch location. 7. Pieology – order your pizza and then go out to the side patio, near Corner Bakery, shared outdoor space. 4. Hook Burgers – Hastings Ranch, used to not be, but apparently changed recently. In the Courtyard on Fair Oaks building. The location has signs on the windows and claims it will be open Spring of 2015. And it will be open 24 hours a day. Register on the site for email updates as the location gets closer to opening hopefully in the coming month. The domain for the website is registered. On Sunday, May 31, main drag Colorado Boulevard will be shut down from just west of Fair Oaks all the way to Pasadena City College, says a release from event organizers. The 3.5-mile route will branch off on some side streets (Raymond, Lake) on the way, and, of course, the Metro-sponsored event will have connections to both the Memorial Park and Del Mar Gold Line stations to maximize the day’s car-free potential. The Pasadena route is made possible with a grant from Metro Los Angeles. Select from hundreds of healthy seedlings, including heirloom varieties, old favorites and unusual offerings. Learn the basics of tomato growing at this lecture. Purchase tasty tomato favorites, including homemade tomato soup, classic BLT sandwiches and a build-your-own bloody Mary and michelada bar. Learn some fresh new spins on cooking with this favorite from a Patina chef. How’s the tomato garden coming along?? If you’re prepped and ready to go we have a wonderful list of seedlings to offer you at two sales in the LA area this weekend! And if you planted after one of our other events, maybe you left a few spaces vacant? We hope so. March 28 – SATURDAY ONLY! More details at tomatomania.com and a class schedule for Descanso can be found on their site! La Cañada Flintridge, CA – On Thursday, March 26, at 7 PM, Flintridge Bookstore & Coffeehouse hosts a talk and booksigning for Erik M. Conway, historian of science and technology at the Jet Propulsion Laboratory (JPL), California Institute of Technology, and author of Exploration and Engineering: The Jet Propulsion Laboratory and the Quest for Mars. In Exploration and Engineering, Conway reveals how JPL engineers’ creative technological feats led to major Mars exploration breakthroughs. He takes readers into the heart of the lab’s problem-solving approach and management structure, where talented scientists grappled with technical challenges while also coping, not always successfully, with funding shortfalls, unrealistic schedules, and managerial turmoil. Conway offers an insider’s perspective into the changing goals of Mars exploration, the ways in which sophisticated computer simulations drove the design process, and the remarkable evolution of landing technologies over a thirty-year period. Conway is also the author of Atmospheric Science at NASA: A History. 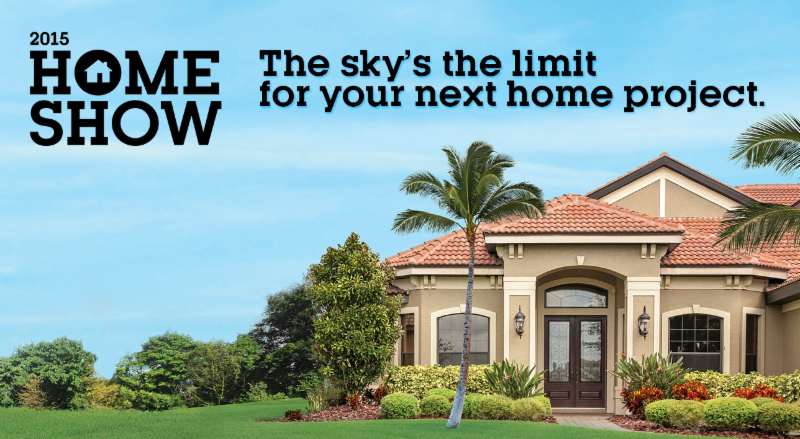 For more information, contact Gail Mishkin at (818) 790-0717. Flintridge Bookstore and Coffeehouse is located at 1010 Foothill Blvd., La Cañada Flintridge, CA 91011, at the intersection of Foothill Blvd. and the Angeles Crest Hwy. Take the Angeles Crest exit off the 210, turn south, make a right onto Foothill Blvd., and turn left onto Chevy Chase. Parking is in the rear of the store. PERMANENT LOCATION COMING SPRING 2015! NOW HIRING Pastry Cooks, Interns & FOH Counter Staff. We are seeking highly motivated, passionate and intelligent people who thrive working in a fast-paced environment to join our team. We encourage an environment of growth, whether you’re an intern wanting to learn and grow to the next level, a pastry line cook, or want to showcase your awesome customer service skills with the Front of House counter staff, we are looking for you! Churro Borough is a Los Angeles-based dessert company, which first made its mark in the city by “tagging” the streets with the ORIGINAL hand-crafted churro ice cream sandwiches. Our new brick & mortar will offer a large selection of hand-crafted, small batch ice cream and sorbet flavors, along with seasonal paletas inspired by farmers markets’ fruits and produce, and of course CHURROS! We will also offer a small variety of pastries and desserts for grab-and-go items. Pastry cooks will be expected to perform pastry production tasks. Duties involve production – making doughs/batters, pastries/desserts, paletas, ice cream and sorbet bases — and hot line work (baking and frying a la minute). Counter Staff will be expected to maintain a positive atmosphere, greet guests, and take orders, as well as scooping ice cream, assembling desserts (shakes, ice cream sandwiches), making coffee/tea, working cashier, and some dish washing. There will be times when FOH will assist back of house with frying/baking. Burger Continental Pasadena Closes Doors After 45 Years. 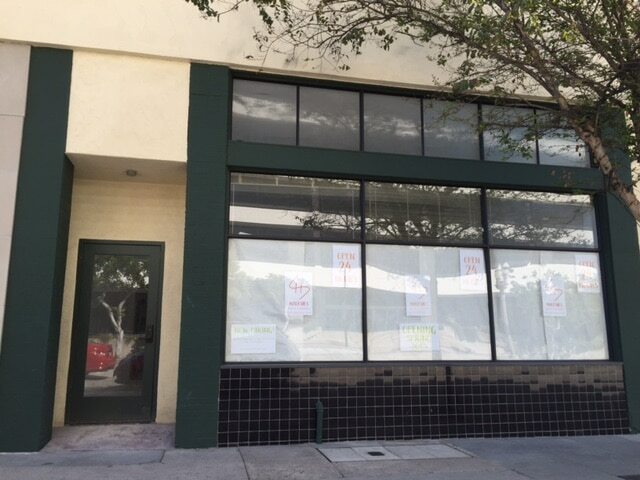 Burger Continental abruptly closed its doors on Friday March 20, 2015. Most recently in September 2014, the restaurant was closed on a failed health inspection. If you want to contact for catering information, please contact our award winning chef Gary, director of catering and food services or his helpful staff. 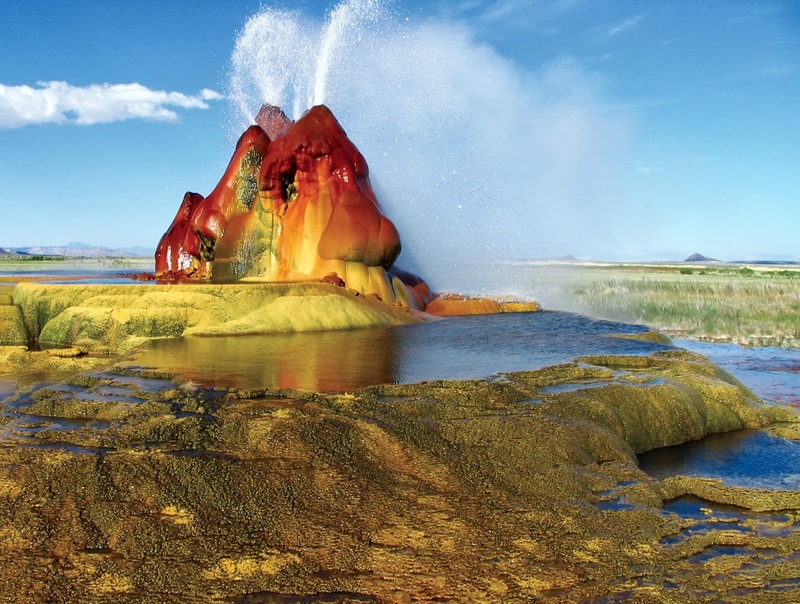 The phenomenon is called “Fly Geyser” and is formed by an accident when a ranch owner drilled for water in the Nevada desert. It began in the early twentieth-century when the ranch owner drilled a well to raise the quality of the agriculture. But when they had drilled the whole way down to the water they stopped because the water temperature was 200 degrees. In 1964 there was a second attempt. It also failed because the water was too hot. The landlord is usually kind and guide the tourists that visit the area. But first you have to get in contact with them to get in. The price for a guided tour differ from time to time. The city of Pasadena is not going to have a single event for Earth Day 2015, apparently the City Manager, Michael Beck thought and made the decision that there should be several events during the month to celebrate Earth Month. The PWP, Pasadena Water and Power department is charged with this event, Celebrating Green Living, other agencies participate. Some are disappointed that there will not be a large event as there have been in past years. In celebration of green living, Earth Day, and Water Awareness Month, Pasadena Water and Power (PWP) will encourage sustainable living practices during the months of April and May with support of numerous events and workshops. In addition, PWP is encoraging the community to make a water pledge for a chance to win a Toyota Prius (courtesy of the Wyland Foundation). PWP will also be hosting educational workshops on how to create Drought Tolerant Landscapes; PWP will swap old inefficient irrigation controllers for new Weather Based Irrigation Controllers (free of charge) at Descanso Gardens on May 31st, and will encourage the community to stock up on earth friendly LEDs this spring for a fraction of the cost at PWP’s online LED Webshop. As mentioned above, PWP has also launched several programs that support energy efficiency, water conservation and overall environmental awareness. At the Toluca Lake Farmers Market behind Wells Fargo at Riverside & Foreman. Environmental booths, kids corner, art contest, electric cars, entertainment, food samplings from the best restaurants in our area, all free. Come bring the family! You are invited to celebrate with Mayor Bill Bogaard, our first citywide elected Mayor, on Saturday, April 25th, 3-5 p.m. at Centennial Square in front of City Hall. This is a casual afternoon with music, art, food trucks, and more to express appreciation to the Mayor for his 16 years of dedicated service. Share your personal reflections of “Moments with Bill” by providing your message below or by dropping off letters or notes at any Pasadena Library beforehand or bring them to the celebration. Once again, Target has demonstrated a commitment to putting guests first by providing an easy and convenient shopping experience! Target announced and implemented an enhanced return policy that allows guests to return select items one year after purchase. Effective immediately, bring back Target’s exclusive owned-brands, with receipt, to a Target store and receive a full refund within one year of the item’s purchase date. The new return policy applies to over 70,000 items from all 32 private-label brands, like Merona, Nate Berkus, Liz Lange, Mossimo and Threshold, C9, Xhilaration and Chefmate. But that’s not all … guests using Target’s Baby or Wedding Registries will now have up to a year from the registry event date to return or exchange items. Complete details on Target’s new one-year return policy can be found here. *NO PURCHASE NECESSARY. Must be legal U.S. resident, 18 or over. Sweepstakes ends 4/19/15. Prize restrictions apply. Subject to Official Rules at PasadenaHomeShow.com. PASADENA, Calif.—The public is invited to the grand opening of Pasadena’s first neighborhood store to adopt the California Department of Public Health’s (CDPH) Healthy Retail Program format. The grand opening is from 11 a.m. to 1 p.m., Saturday, March 21, 2015, at Rio Meat Market & Restaurant, 2029 N. Fair Oaks Ave.
Mayor Bill Bogaard and Pasadena Health Officer Dr. Ying-Ying Goh are the event’s keynote speakers along with store owner Esthela Borja, who will share her inspiring story and vision for providing healthier food options in Northwest Pasadena. A ribbon-cutting follows. The Healthy Retail Program demonstrates a commitment that neighborhood stores have invested in providing affordable and healthier food and meal options. The program is part of a statewide movement called “Champions for Change,” that seeks to improve the health status of low-income Californians by supporting fruit and vegetable consumption and increased physical activity. More information is at https://www.cdph.ca.gov/programs/cpns/Pages/RetailProgram.aspx. The Pasadena Public Health Department’s (PPHD) Nutrition & Physical Activity Program provided technical assistance and training on purchasing, storing, displaying and promoting fruits and vegetables, merchandising and nutrition outreach. The local program works in conjunction with Choose Health LA Kids Program and Choose Health LA Restaurant Program, a countywide public recognition program for restaurants. Rio Meat Market & Restaurant now features a wide variety of fresh fruits and vegetables, portion-controlled menu selections, children’s plates with fresh fruit and a store layout that prominently displays healthier food and beverage options. In addition to the PPHD, transformation assistance came from the Flintridge Foundation, Day One Pasadena and Pasadena Youth Build. Local businesses interested in receiving free technical assistance as part of the Healthy Retail Program should contact Mary Urtecho-Garcia at [email protected]. The PPHD Nutrition & Physical Activity Program is funded by the CDPH Nutrition Education and Obesity Prevention Branch. Pasadena is only one of three cities in California with a municipal health department. For more than 120 years, PPHD has worked to promote and protect the health of the greater Pasadena area. Visit the department online at www.cityofpasadena.net/publichealth. A live, televised debate between Pasadena’s mayoral candidates Jacque Robinson and Terry Tornek that will be moderated by Larry Mantle, the host of 89.3 FM KPCC’s AirTalk radio show, beginning at 7:00 p.m., Tuesday, April 7, 2015, at the Pasadena Convention Center. The City’s official page with information on the election and the ballot is here. The League of Women Voters, Pasadena area, www.lwv-pa.org will lend assistance in preparing the questions for the candidates. Pasadena Councilmembers Tornek and Robinson are in the run-off election for Pasadena’s Office of Mayor after receiving the highest percentage of votes in the March 10 primary race. The debate will be televised by Pasadena Media. Simulcast on the Arroyo Channel, the community access station and KPAS, the government access station. Arroyo Channel is seen on Channel 32 for Charter subscribers. KPAS and the Arroyo Channel are both available on the AT&T U-Verse platform on Channel 99/Pasadena.